The blanket is very similar to my orca one, since I wanted it to match, for my twin girls. I am not going to relist and link to all the information about creating a C2C (corner to corner) graphgan again, but you can see it all in my orca blanket post here. The materials and graph are listed below. Basics of creating a corner to corner graphgan, in my orca blanket post. Gauge: Gauge is not essential, but if you would like the blanket to turn out the same size as mine, I recommend matching my gauge. You will need to create a square to measure. Instead of coloring in some graph paper, like I did last time, I tried a computer version. Let me know what you think! I would love to see how your blanket turns out! Want to know when I publish another free pattern? Enter your e-mail into the subscribe box at the top right hand column of the page or follow me on Facebook. 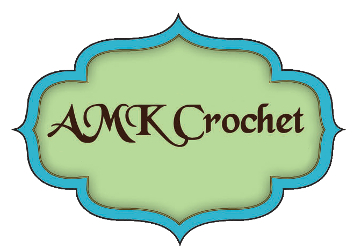 Feel free to share you finished item photos on Facebook or tag me on Instragram @amkcrochet.